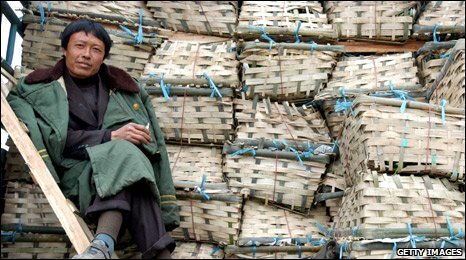 Chris Hogg heads to the small Chinese village of Zhushanxia, 200km from Shanghai, to see how lives have been shaped by the economy under communist rule, the recession and the country’s economic recovery. Huang Jiao Ling lives at the end of a long dusty road. Mobile phone numbers are daubed all over the walls of her home and those of her neighbours. It is like a strange kind of mathematical graffiti, but the numbers are, in fact, advertisements for people offering goods and services. In modern China, it seems everyone has something to sell. Huang Jiao Ling, too, is an entrepreneur. She is in her 50s, but she looks younger. In her front garden, where others might have planted vegetables, she has built a small workshop. Inside, the walls are unfinished and the floor uneven, but there is just about enough room for a work-bench and a handful of basic machine tools. On the floor are cardboard boxes filled with piles of tiny metal widgets. They are simple to make – her husband sits at the bench turning them out rapidly by hand. A few feet away, his bicycle-taxi is parked just inside the front door of the house. The machine work is a lot less tiring than pedalling passengers around, but he still keeps the bike. 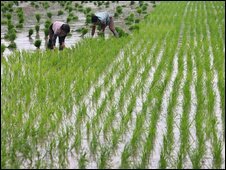 It is useful, he says, to supplement their income in leaner times. The Huangs sell the boxes of widgets to the factory where Huang Jiao Ling has a full-time job. For a while this year they had to shut the workshop as demand dropped, but now the machines are humming again. They have two children, because if you live in the country and your first child is a girl, you are allowed to have another one. The girls go to very good schools, the best Huang Jiao Ling can afford. She spends more than half her income on school fees. “We have to think of their future,” she tells me. Yu Feng Guo is Huang Jiao Ling’s brother-in-law. She is doing well for herself in China’s new modern market economy, but he has been left behind. He used to work in a state-owned brick factory. When the economic reforms began 30 years ago he watched as some of his co-workers left their jobs to start up their own small businesses, many of them selling prawns or fish by the side of the road. He decided to do what he thought was the right thing, what the communist party would expect of a loyal worker in a state-owned enterprise – he stayed. Eventually, the brick factory went bust and he was out of a job. Now, dressed in a shabby khaki jacket, he works as a security guard in an open-air food market. Those early entrepreneurs who had left his factory to try their luck in the fledgling market economy are now much richer than him and to his family this seems unfair. “Thirty years ago everyone in the village was poor,” his son tells me. There is an implicit bargain in modern Chinese society between the leaders and the led. Beijing tells its people “we will give you opportunities” – to earn more, to enjoy a better standard of living than your parents did. But you, in return, will behave yourself. In Zhushanxia village quite a few cars can be seen bumping along past the fields, something you would not have seen 30 years ago. If you have got used to having more, whether it’s a car, or a bigger house, or a more expensive school for your child, you have more to lose when times get tough. That is why it is so important for the government to get the economy back on track. When it first faltered, when factories started laying off workers, there was a risk that they would start to feel the government was no longer keeping to its side of the deal, so why should they? So in Beijing, of course, there will be relief that a recovery appears to be under way. But the next challenge for the government will be to do more to try to ensure that everyone shares the benefits. Huang Jiao Ling is happy her workshop is busy again, but still nervous about the future. So she, like most other Chinese, is saving as much of her income as she can. Her brother-in-law Yu Feng Guo, has no idea how he will be able to save enough to secure a state pension on his meagre wages from his unstable job. He and others like him will be looking to their leaders for reassurance that they will be cared for as they approach old age. But that will costly and complicated. Fixing the economy may prove to have been the easy part. A man from London has died after falling from a fortress wall at a music festival in Serbia. Anthony Fisk, 22, fell from Petrovaradin fortress in Novi Sad during the annual Exit music festival on Friday. He died in hospital on Saturday, the Foreign and Commonwealth Office said. Acts including Lily Allen, the Arctic Monkeys, Manic Street Preachers, Moby, Korn and Madness are performing at the festival, located north of Belgrade. Up to to 190,000 people are expected to attend the four-day festival, which is due to end on Sunday. The Exit festival began in 2000 as a spontaneous student uprising against the regime of Slobodan Milosevic. 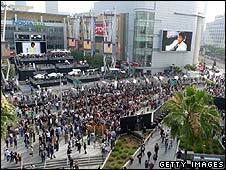 Organisers hoped it would persuade music fans to vote to find an “exit out of 10 years of madness”. Former Republican vice-presidential candidate Sarah Palin has announced she will resign as governor of Alaska on 26 July and not run for re-election. Mrs Palin’s term of office was due to end in 2010. Some have speculated that Mrs Palin, who is popular with the Republican Party base, might be preparing to make a bid for the White House in 2012. 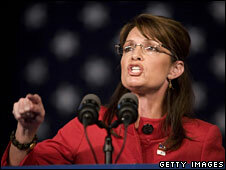 But a report on NBC news suggested that Mrs Palin intends to get “out of politics for good”. Her resignation means Alaska’s Lieutenant Governor Sean Parnell will take over as state governor. Polls indicated Mrs Palin was very popular in Alaska during the first few years of her governorship, and although her approval ratings have dipped somewhat since her vice-presidential run, she still enjoys widespread popularity in her home state. Mrs Palin announced her decision in a statement from her home town of Wasilla, Alaska. “I’m taking my fight for what’s right in a new direction,” she said, as her family looked on. Mrs Palin did not reveal what she intended to do after leaving office, and did not give an explicit reason for her decision not to run for re-election. But in a written statement, she made it clear that once she had decided not to run again, she did not want to hang on in office until her term expired. “Once I decided not to run for re-election, I also felt that to embrace the conventional Lame Duck status in this particular climate would just be another dose of politics as usual, something I campaigned against and will always oppose,” she said. Mrs Palin’s revelation came out of the blue, as most Americans were turning to the celebration of Independence Day on 4 July. She offered no single clear reason for stepping down, our correspondent adds, but the strongest clue was her depiction of what it had been like to be the subject of sustained attack by liberals since she appeared on the national stage. 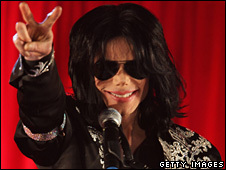 Michael Jackson’s will has been filed in a Los Angeles court, giving his entire estate to a family trust. The document, dated 7 July 2002, also reveals the star chose not to provide for his former wife, Debbie Rowe. Jackson’s mother, Katherine, is named as a beneficiary of the trust and the guardian of the singer’s three young children, who are named in the will. 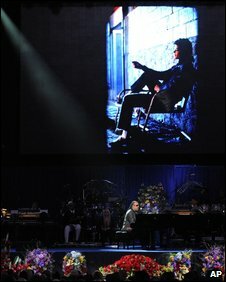 The documents estimated Jackson’s estate at that time to be worth more than $500m (£303m). The will said Jackson’s estate consisted almost entirely of “non-cash, non-liquid assets, including primarily an interest in a catalogue of music royalty rights which is currently being administered by Sony ATV, and the interests of various entities”. 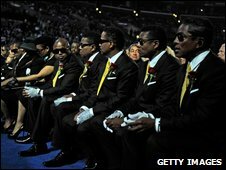 Long-time friend and singer Diana Ross is also named as guardian for Jackson’s children in the event that his mother was unable to fulfil her duties. Katherine Jackson was granted temporary guardianship of Jackson’s three children – Michael Joseph Jackson Jr, known as Prince Michael, 12, Paris Michael Katherine Jackson, 11, and seven-year-old Prince Michael II – on Monday. The will names Jackson’s lawyer John Branca and John McClain, a music executive and a family friend, as co-executors of the will. In a statement, Mr Branca and Mr McClain said: “The most important element of Michael’s will is his unwavering desire that his mother, Katherine, become the legal guardian for his three children. Rowe married Jackson in 1996 but filed for divorce in 1999. She gave up custody rights to the children but sought them again in 2003. She is the biological mother of Jackson’s eldest children. The singer’s youngest son was born to a surrogate mother whose identity has never been revealed. This may be why President Obama signed the order with so little fanfare. They called the funding ban the “gag rule” because it cuts funds to groups that advocate or lobby for the lifting of abortion restrictions. “No longer will health care providers be forced to choose between receiving family planning funding and restricting the health care services they provide to women,” the organization said in a statement. In a move related to the lifting of the abortion rule, Mr Obama is also expected to restore funding to the UN Population Fund (UNFPA) in the next budget, the AP news agency reported. Is Obama black? It depends on who – and when – you ask. Ergo, he is not black – at all. The bulk of the people protesting against references to Obama as a black man, however, grant that he is “part” black (by way of his father), but assert that because he also has a white mother it is not “accurate” to call him black. He he is “in fact” mixed-race, they say. My first reaction to questions about the “correctness” or “accuracy” of Obama’s racial classification is to undermine the premise of the question itself. The search for the “correctness” of racial identity presumes that a definitive answer can be found. It presumes that race is a real entity, something fixed, or natural. It seems to deny what scholars have laboured for decades to demonstrate – that the criteria used to classify people in racial categories, the categories used in a given society, and the uses to which those categories are put – vary by place and time. They are, as academics are fond of saying, “socially constructed”. Yet the predilections of the scholar fail to satisfy those who claim to know what race Obama “is”, for these are really statements about what the speaker thinks he ought to be. When people insist that Obama “is” black, they point to his self-identification as such, and the assertion that when most people look at him, they see a black man. Calling him “black” seems to acknowledge the connection between his rise and the struggles of a people. 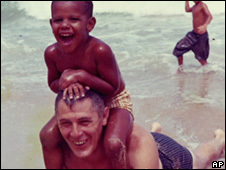 When others argue that Obama “is” mixed-race, they point to the fact that he has a white mother, not only a black father, and was raised in an interracial family. Calling him “mixed-race” seems to acknowledge that family, offering a corrective to centuries of denying our tangled genealogies. 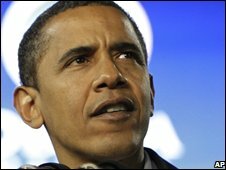 As recently as 20 years ago, the question of Obama’s racial position would be presumed settled before it was even asked. In keeping with the one-drop rule – the practice of categorising as black anyone with any known African ancestry – Obama’s identification as a black person would be expected, accepted and unremarkable. The person suggesting that Obama be classified as mixed-race would quite likely have been met with suspicion or a confused look (“What’s that?”) since for most of US history, in most places, mixed-race identity has not been collectively recognised. We (I have an African American father and an Irish American mother) were raised on the front lines of racial change, where the new rules about interracial intimacy often clashed with the old – both in public and in our own families. Perhaps it’s time for everyone else to learn to live with them too. After nearly two years of digesting speeches and slogans, of being bombarded with adverts and requests for money, of coming to terms with the possibility of the first non-white or female president, Americans are nearly there. They voted in record numbers in the primary elections and now look poised to do the same in the general election. In fact, they already have been. In more than 30 states, early voting began several weeks ago. 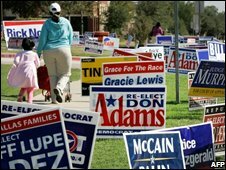 It has not been uncommon to see large lines snaking around entrances to libraries, community centres and other voting locations. If there is one thing that can confidently be said, it is that Americans are ready for this election. At a time of economic crisis, with opinion polls consistently showing that large numbers of people are unhappy with the direction their country is taking, there is little sense of apathy. And, after eight years of an increasingly unpopular Republican presidency, the advantage is with the Democratic Party – and the party’s candidate, Barack Obama. He has raised mind-boggling amounts of cash – far in excess of even the most generous estimates – enabling him to compete across the country and to afford extravagant amounts of advertising in these final few weeks, culminating in the half hour “infomercial” which aired at prime time on several US networks last week. Of course, it’s not just the money. Throughout the months that I’ve covered this election, the levels of excitement and enthusiasm at Obama rallies have consistently outstripped those of his opponents, both Democratic and Republican. Only Hillary Clinton and Sarah Palin – both historic candidates, in their differing ways, have managed to inspire crowds, in a similar fashion. But the question is: Will this enthusiasm, enhanced voter registration and substantial financial advantage be carried over into the polling stations? If it is, Sen Obama has a real chance of winning many of the states, which have crossed from safe Republican territory into the “toss up” column; places like Indiana and Virginia, which last voted for a Democratic presidential candidate when the current one was just three years old. The election could be transformational, not just in terms of bringing a non-white president to the White House, but in re-drawing the electoral map, at the same time. There are plenty of potential obstacles, though. Some are visceral. When it comes down to it, how many Americans will find it hard to put a cross next to a man with an exotic name and mixed-race background? Will Mr Obama, for all his inspiring rhetoric and calm demeanour be seen as too aloof and professorial? 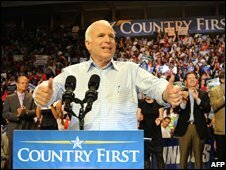 Will Americans prefer the earthier, more “familiar-looking”, Mr McCain; a feature of public life for several decades, with an inspiring story of war time heroism – and reputation for bridging partisan divides? And what of the polls, which have shown a fairly consistent Obama lead for the past few weeks? Will that keep Democratic voters away, through a sense of complacency, or, perhaps, discourage Republicans? Certainly, the McCain campaign has made much of the tightening numbers in recent days and in places, such as Pennsylvania – a must win state for the Republican candidate. There, the Arizona senator’s argument that Mr Obama is too inexperienced in foreign affairs and too left-wing in his economic views is gaining traction. Another big unknown is the Palin effect. Mr McCain’s running mate has inspired and disappointed in equal measure. She is likely to be a reason for many on both sides to turn out. So, will the pro or anti forces be the most energised? And whose get out the vote efforts will be the most successful? 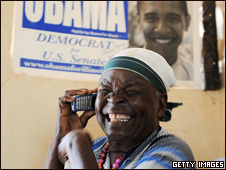 The Republicans have a good track record in this and the McCain camp seems to have kept cash aside for the final push, but the Obama campaign has broken new ground in its organisational powers. The experience of the long primary campaign is likely to come in very handy. And what of those undecided voters? The sense I get, is that many are people who voted for President Bush four years ago, but are still unconvinced by Mr McCain – either for reasons of ideology or temperament. If that’s the case, Mr Obama doesn’t need to win them over. He’d be happy if they simply stayed at home. At this point, the odds remain in favour of an Obama win. But it’s not the bookmakers who will decide the result of the election; it’s the American people. And after the longest, most expensive – and, according to many veteran observers – most inspiring election campaign in living memory, they are about to make that decision. Rarely can their choice have seemed so consequential for the country, or the world. Republican vice-presidential candidate Sarah Palin has been cleared by a new report of abuse of power in firing Alaska’s top law enforcement official. An independent investigator appointed by the Alaska Personnel Board said she had violated no ethics law. 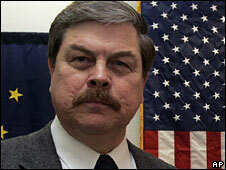 Mrs Palin, governor of Alaska, was accused of sacking Walt Monegan because he failed to dismiss her ex-brother-in-law, state trooper Michael Wooten. An earlier report for Alaska’s congress found that she had abused her office. Mrs Palin has always denied any wrongdoing, and her supporters say the charges were motivated by her political opponents. The Alaska Personnel Board report, led by investigator Timothy Petumenos, said there was “no probable cause to believe that the governor, or any other state official, violated the Alaska Executive Ethics Act in connection with these matters”. According to a copy of the report posted on the Anchorage Daily News website, the board concluded that there was no need to hold a hearing on “reputational harm”, as Mr Monegan had requested. The report did say that the use of “private e-mails for government work” needed to be addressed, an apparent reference to Mrs Palin’s use at times of her personal e-mail account for state business. Mrs Palin referred the matter to the personnel board herself. The earlier report for the state legislature, released last month, said Mr Monegan’s refusal to fire Mr Wooten was not the sole reason for his dismissal, but a contributing factor. However, it added that the actual sacking of Mr Monegan was a “proper and lawful” exercise of Mrs Palin’s rights as governor of Alaska.